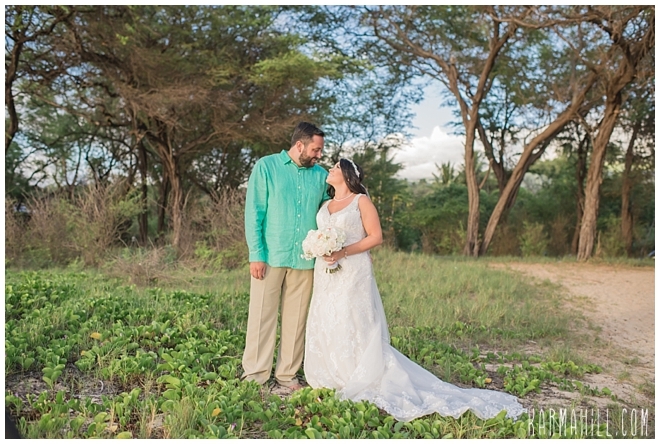 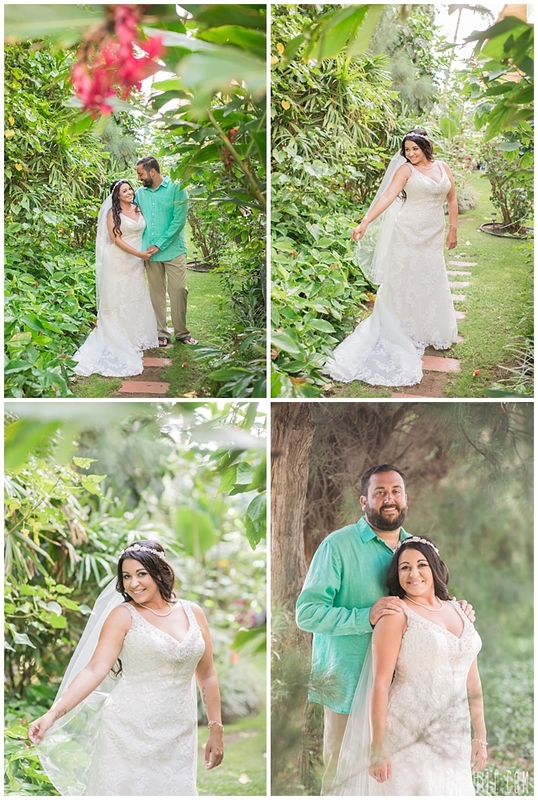 How lucky are we that we get to work with such awesome couples like Courtney and Barret! 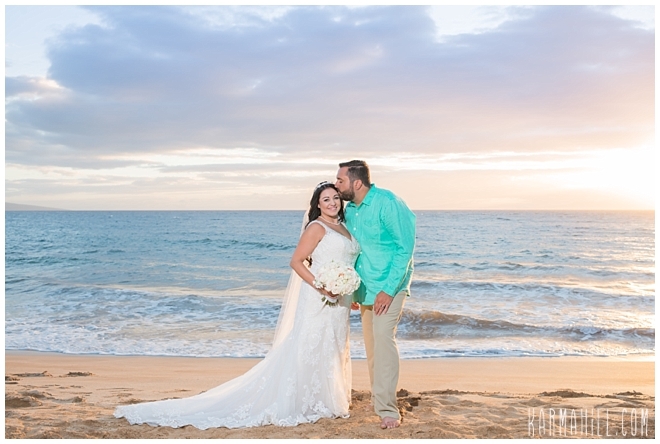 This fun couple wanted a beautiful beach wedding with their toes in the sand and that is just what they got! 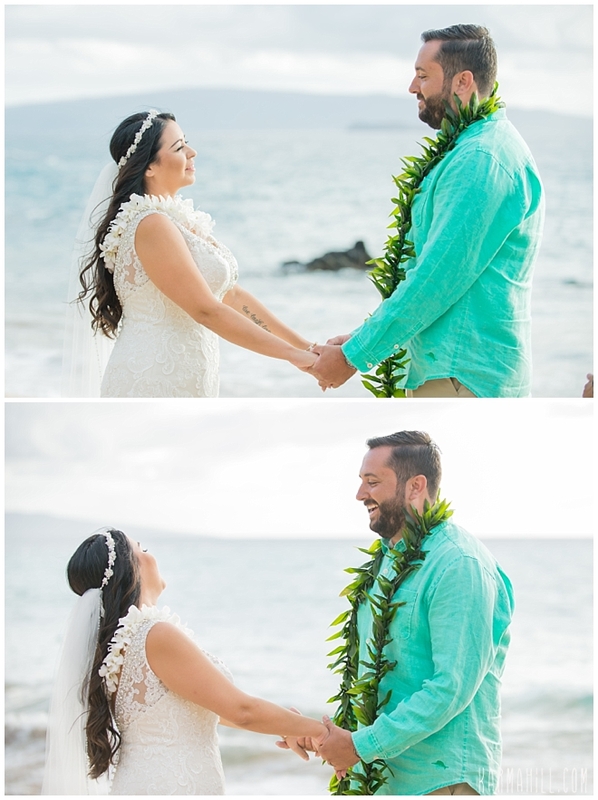 We loved that Barret's teal shirt added a pop of color and personality to the photos and how amazing is Courtney's beaded gown!? 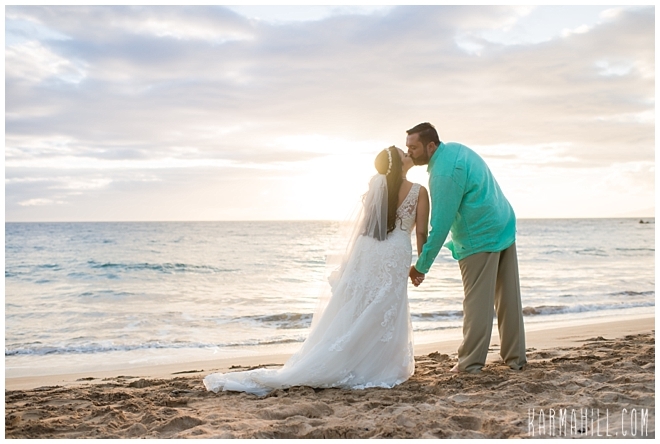 After a sweet double first look with dad and groom and a a fabulous ceremony the couple was able to get some romantic shots as the sun set into a pastel sky..... what a dreamy night! 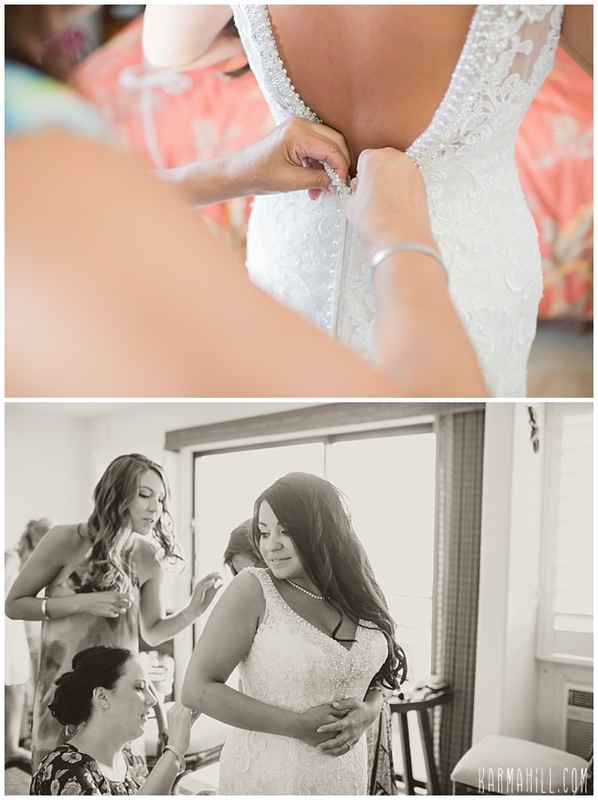 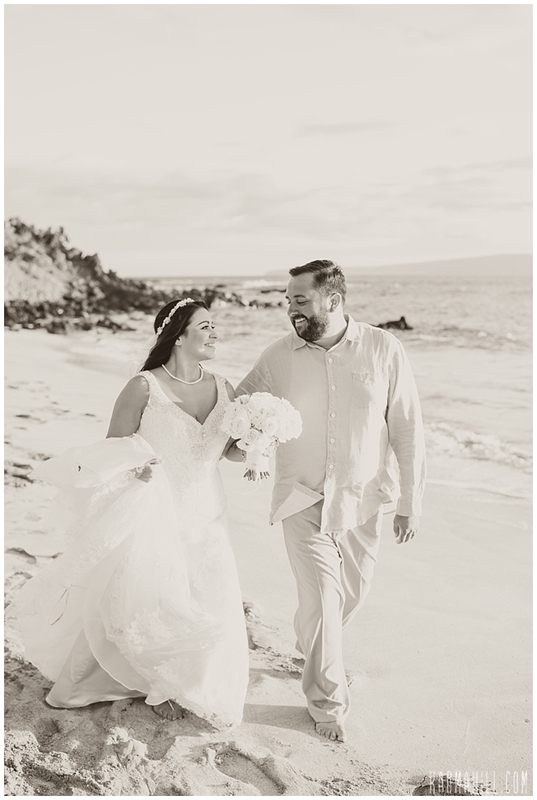 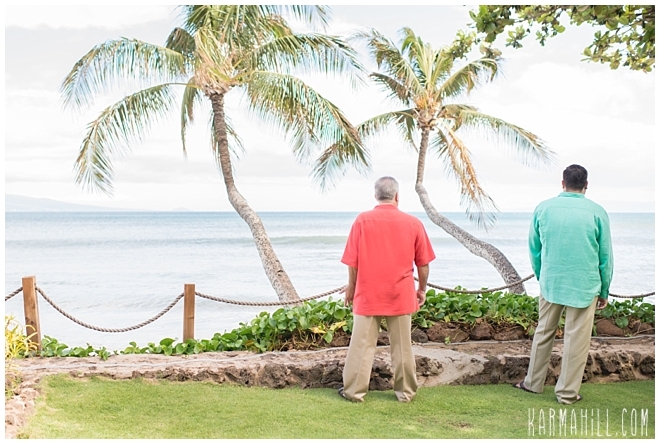 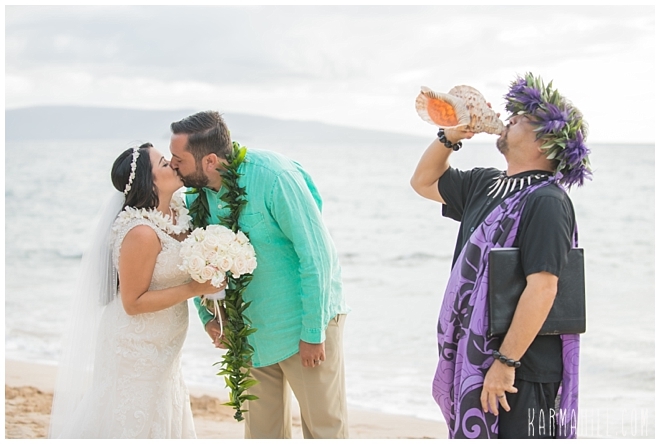 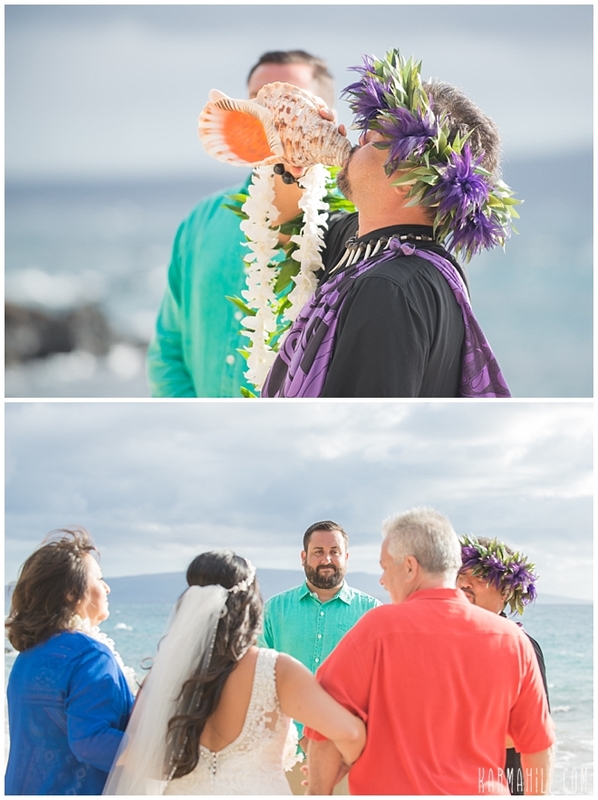 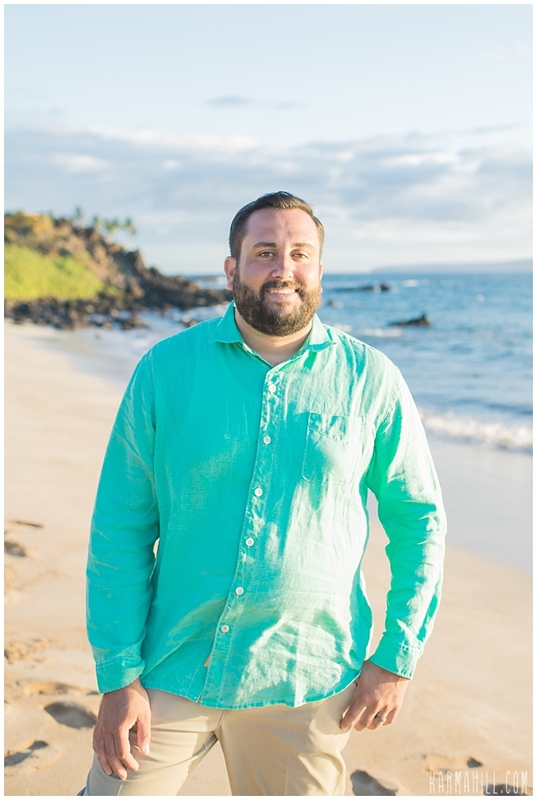 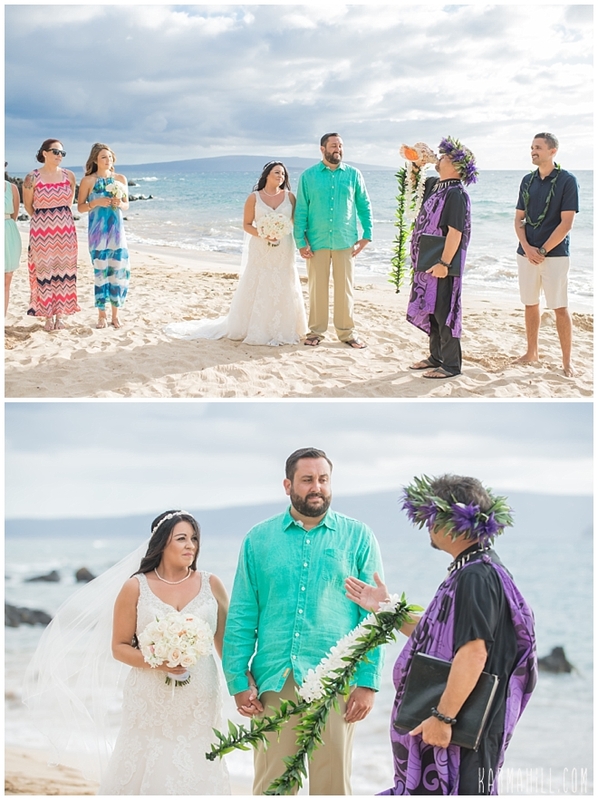 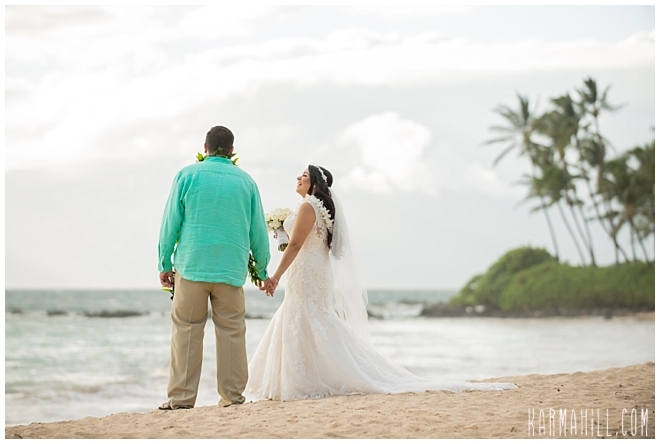 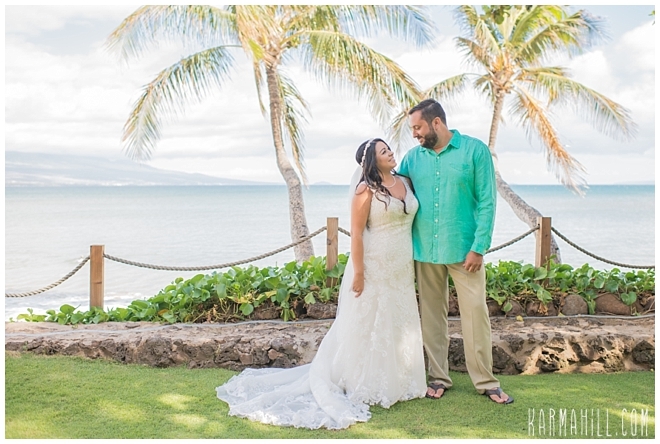 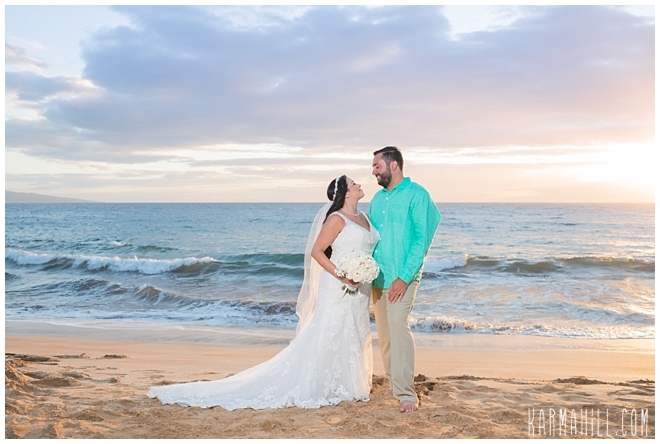 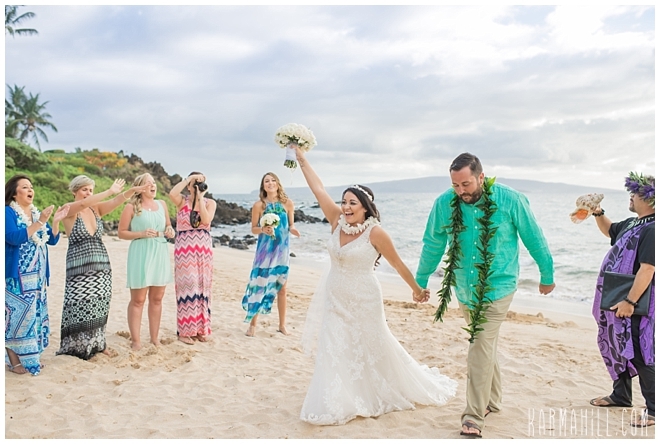 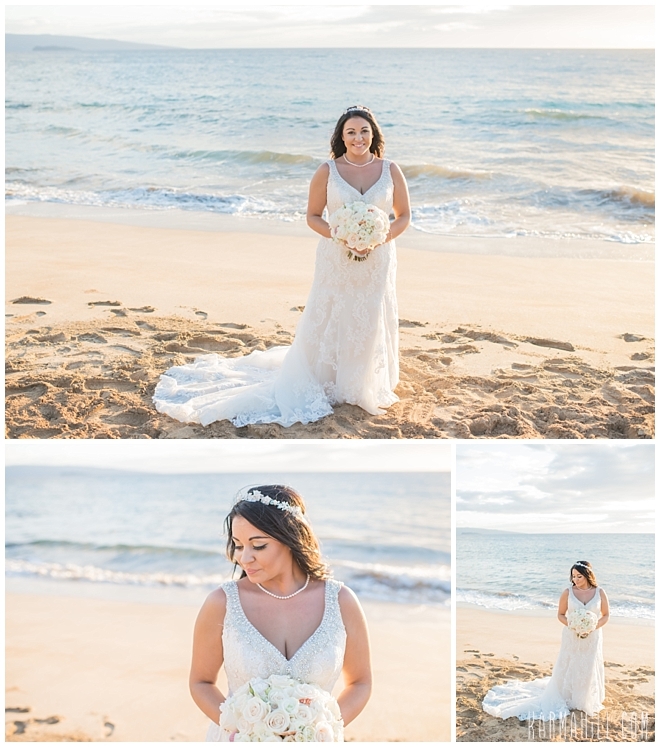 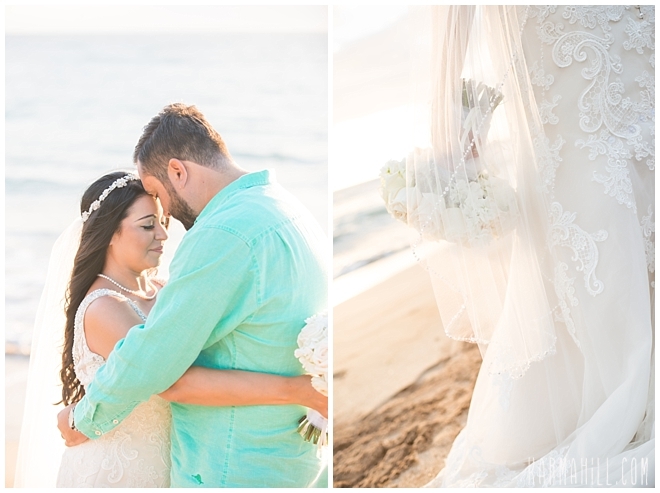 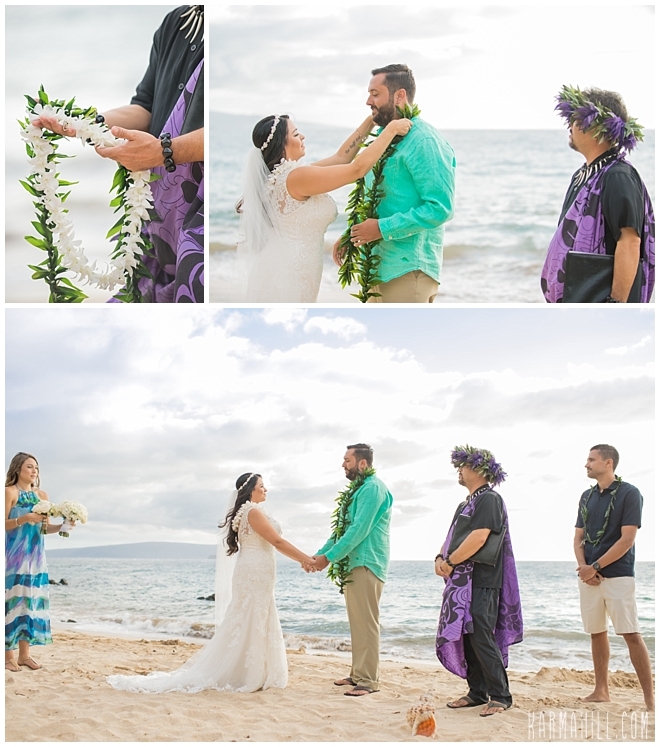 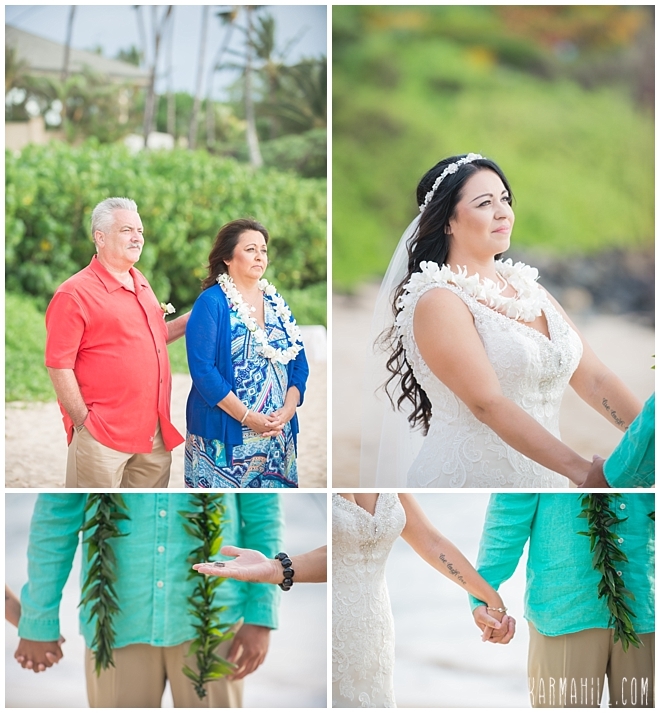 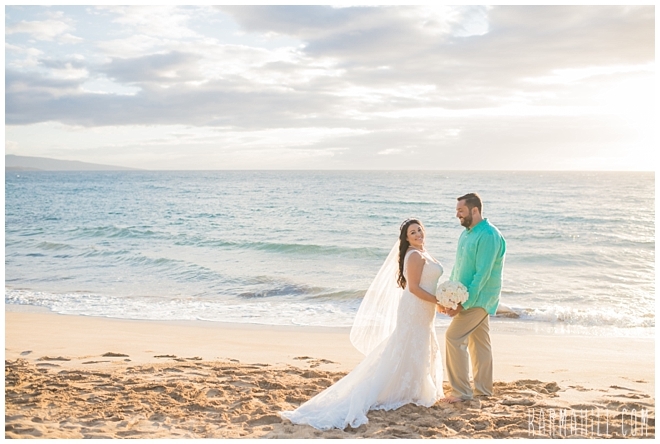 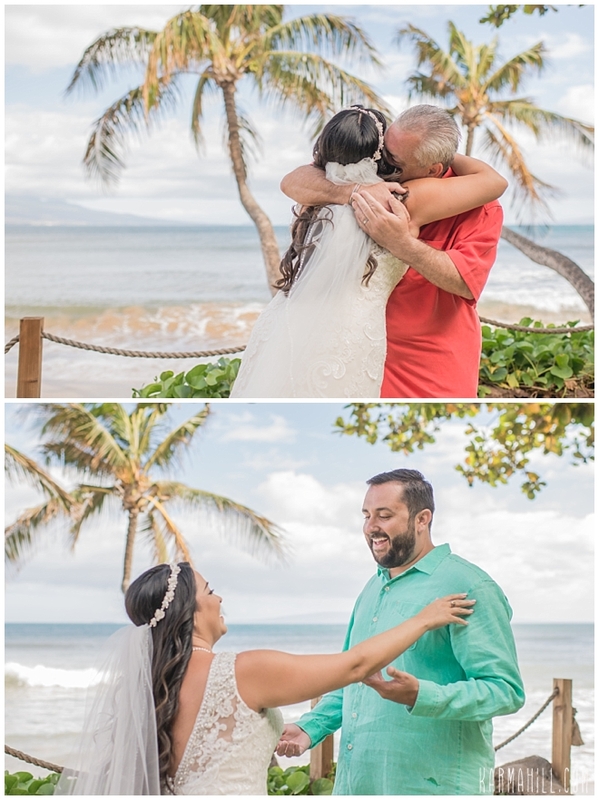 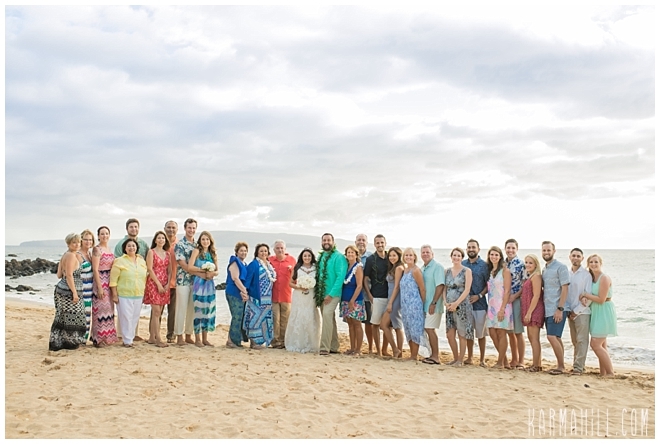 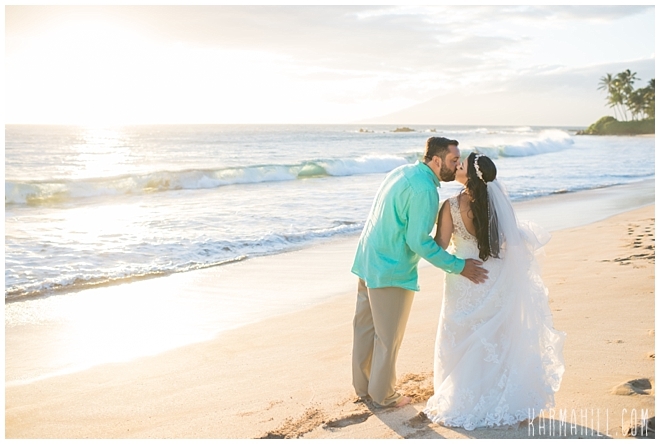 Mahalo Courtney and Barret for choosing Simple Maui Wedding to coordinate your Maui Wedding it was so great to meet and work with you!